Bright and cheerful describes this 2-bedroom 2-bath villa. This could be the ideal situation for someone looking to move-in and begin enjoying all that Venice offers. The open floor plan is prevalent as you enter the home with high ceilings joining the dining/living room, family room and kitchen. Kitchen counters have been updated to granite and has a breakfast bar and closet pantry. Lake views are enjoyed from the living/dining room and the master bedroom. A split bedroom floor plan allows for privacy for your guests and you. Indoor utility room houses the washer/dryer, wash tub and storage cabinets. Enjoy your morning coffee on the screened in lanai which offers serene views of the lake. Fountain View has a clubhouse and community pool overlooking another lake. Conveniently located within 10 minutes to Venice Island, area beaches and golf course. 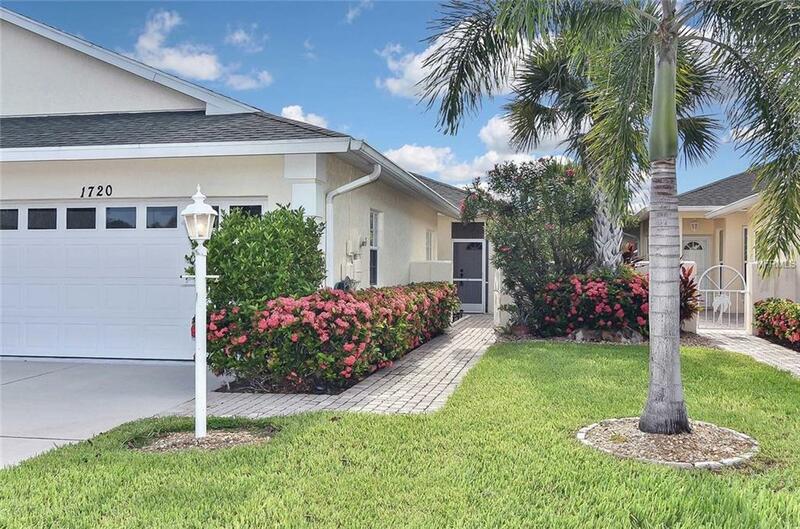 Twenty minutes to Sarasota makes this a very desirable location with low maintenance fees. Dont wait to rent for season. Buy now and youll have your Florida home ready for you to enjoy anytime you desire.